Adobe Dimension From the Moon to Mars—Apollo 50th Anniversary Challenge! 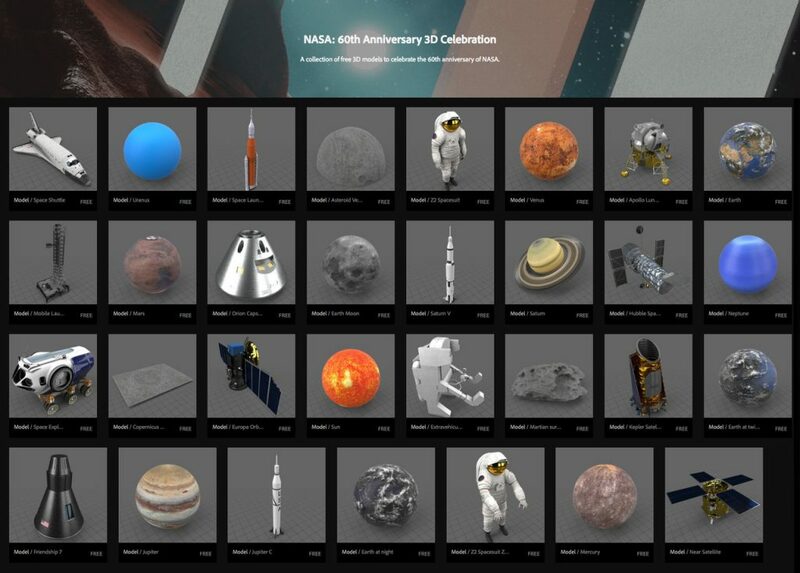 Choose your assets from the Adobe 3D Stock“NASA: 60th Anniversary 3D Celebration gallery, and create your own space exploration scenes. Adobe, Adobe Dimension, HP, Wacom, NVIDIA, Pixologic and Substance have teamed up to provide an amazing lineup of prizes for the winners and Honourable Mentions for the Adobe Dimension From the Moon to Mars—Apollo 50th Anniversary Challenge! The winner of the challenge will also win an iPad Pro with an exclusive early access version of Adobe Photoshop ON iPad!